Don’t know about you but I remember every time the kids went near a pool, or wet floor, I’d be telling them to put shoes on. This product makes you think “simple but ingenious!” Slipfree® is unique in the UK, cleverly designed to keep children (and adults) safe by helping prevent slips and falls on wet or dry surfaces. Whether at home, in the garden or on holiday by the pool or beach, Slipfree® shoes give parents peace of mind whilst their little ones are running around enjoying themselves. 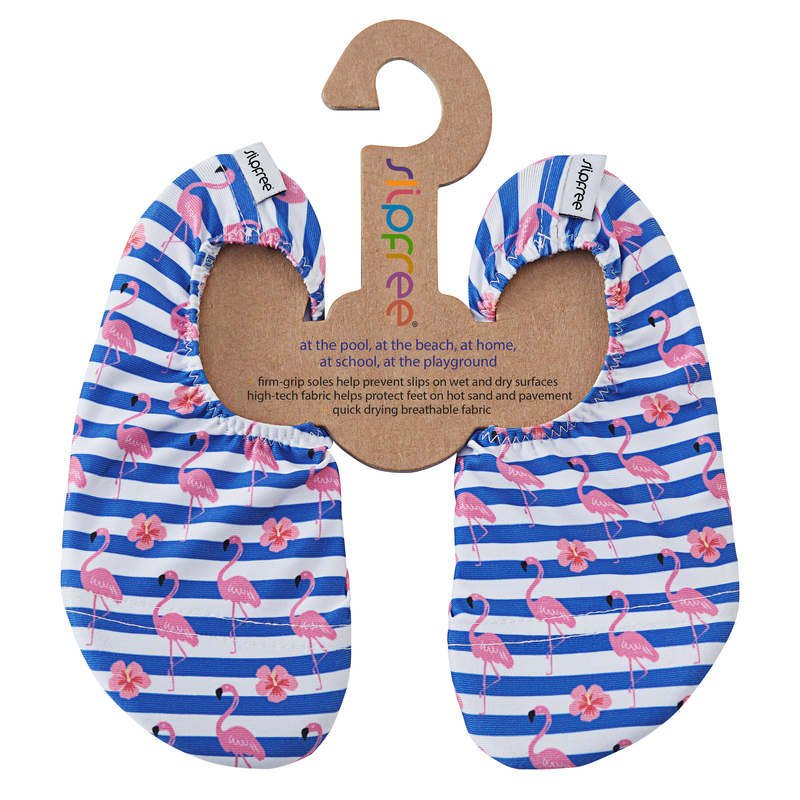 Made from a light, flexible, quick-drying and breathable fabric, Slipfree® shoes are the next best thing to bare feet but with the added protection of a firm grip sole. They are super comfortable, easy to swim in and can be used almost anywhere! Whether at home or abroad, holidays provide the perfect setting in which to enjoy your Slipfrees®. Swim, surf and play, move freely from beach to pool to waterslide and everywhere in-between. 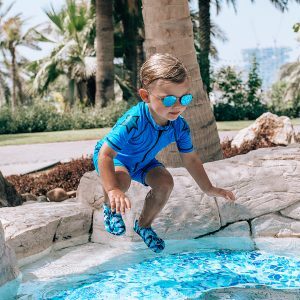 No more shouting for your kids to stop running around the pool and no more tears when the hot sand or hidden pebbles hurt their little feet. With Slipfrees® the whole family can relax and enjoy a stress-free holiday. Slipfree® shoes are not only an essential accessory for accident free holidays, you will also find yourself using them year-round at the swimming pool, at exercise classes, for gymnastics and at home on slippy floors, in the bathroom and garden. There are no limits to when and where you could choose to wear them. What’s more they come in over 20 fun and colourful designs, including mini-me styles which both children and adults love to wear. With sizes ranging from an infant size 2 to a men’s size 11, Slipfree® have the whole family covered.